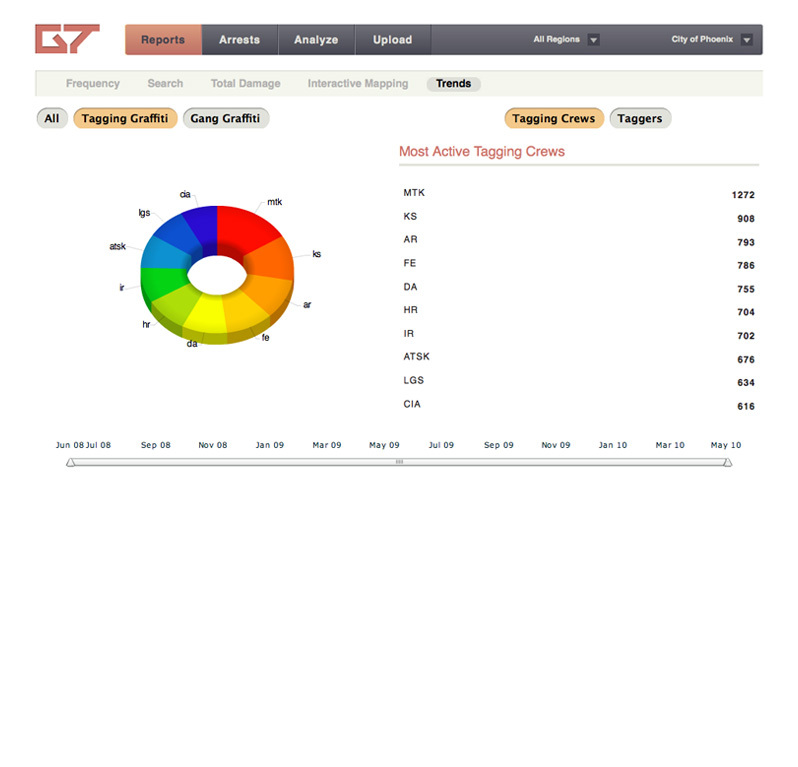 Instantly generate reports that show the most active taggers and gangs. Access vital information, such as the name of the moniker or crew, total square feet of damage, surface type and location for each incident. Compare the frequency of graffiti vandalism over a specific period of time.